This could have been the shortest review in history. Just one word: INCREDIBLE! 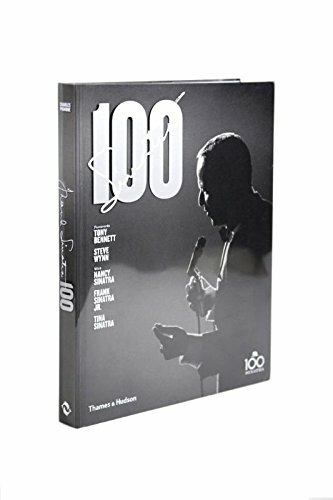 But this is a huge book, both in literal and metaphorical terms, to mark the centenary of Frank Sinatra’s birth so the “less is more option” does not feel appropriate: But where to begin? The forewords to this large format book seem as good a place as any, and they do not disappoint, with the inimitable Tony Bennett laying his own success at Sinatra’s feet. Describing him as his best friend in show business, Mr Bennett points out Sinatra is still relevant to this day, thanks to his legacy of music. Steve Wynn may not be as famous but his foreword also has a great deal to say about “ol’ blue eyes,” having made him spokesman for his luxury hotel in Vegas, The Golden Nugget, where Frank Sinatra was not just a singer but what we would probably now term a “brand envoy.” Wynn highlights Sinatra’s love of children, and how on a world tour he visited a children’s home and was asked by a little blind girl what color the wind was. “Tearfully (Sinatra) replied, ‘Dear, no one knows because the wind moves so fast.’” In a sense, this could very well sum up Sinatra’s life. The book is divided into three sections. The photographs and observations cover different periods of his life: The Voice takes us up to 1952. Chairman of the Board to 1972 and Ol’ Blue Eyes to 1998. Many of the pictures have never been made public before, and there are a fine array including numerous contact sheets, providing an almost cinematic feel to performances and recording sessions. To choose a handful of pictures that are particularly sensational is tough, almost impossible. But there are several stand out images that have to be flagged: Of the skinny young man grabbing his audience from the floor, not even requiring a stage. Working that trilby hat, or his undone bow-tie, a look surely he made famous if not began. Sinatra laughing with Sammy Davis Jr, great friends at a time when it was not fashionable to have black friends. And finally a double-page spread that doesn’t even have Sinatra in it, but the rapt look in the eyes of his adoring “bobby-soxers” says it all. A much later double-paged spread shows Sinatra in his autumn years, flanked by an audience still showing the same excitement on their faces as the youngsters five decades earlier.